Will Nation, a 23-year-old UT grad, qualified for the ’16 US Olympic Marathon Trials Saturday at the Garry Bjorklund Half Marathon in Duluth, Minnesota. Nation, who won the 3M Half Marathon in January in 1:07, finished 10th in Duluth, but his time of 1:04:56 just bettered the Trials qualifying standard of 1:05, assuring him a starting position in the Marathon Trials in Los Angeles in February. Incredibly enough, the Bjorklund Half was just the second road race Nation has ever run. At UT, he ran track and cross-country and had never even attempted so much as a 5-K on the roads before the 3M race. The Bjorklund Half (part of the Grandma’s Marathon weekend) was won by Shadrack Biwott—a naturalized American–in 1:03:09 in a sprint finish with Macdonard Ondara and Ben Payne who were just one second back. Payne, who is a major in Air Force, ran the same time as Ondara (1:03:10). The women’s winner was 25-year-old Neely Spence Gracey of Chambersburg, Pennsylvania in 1:11:25 which also bettered the women’s Olympic Marathon Trials standard. Spence Gracey, the oldest daughter of 1992 Olympic marathoner Steve Spence, has never run a marathon and said the Olympic Marathon Trials might be her first. Occasional Austinite Scott MacPherson was eighth in the Bjorklund Half in 1:04:55, just one second ahead of Nation. Former Vista Ridge HS star Zachary Ornelas was 20th in 1:05:38. Matthew Williams of San Antonio placed 28th in 1:05:56 and 26-year-old Jeff Sadler of Austin, a former Baylor runner, was 43rd in 1:07:27. Rory Tunningley, a former UT runner who has been slowed by a lingering knee injury, finished in 1:17:59. 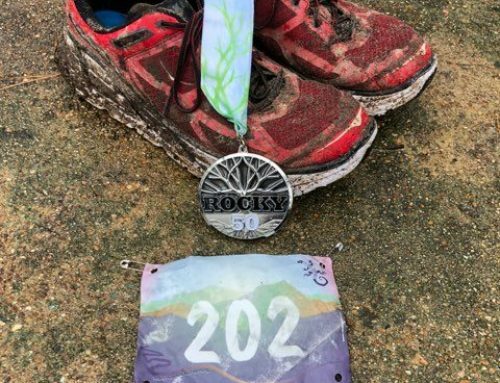 Other Austin finishers include Eric Rozner (1:P42:25), Chris Lee (2:02:44), Jessie Farris (2:08:57) and Andrew Naumann (2:14:44). Katherine Sommer had the fastest time of any Austinite in the Grandma’s Marathon in 3:25:39. JD Whittemore ran 3:39:02, Peter Mittelholzer finished in 3:52:45 and Liz Krakow registered a 3:57:30.